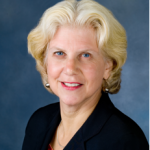 The following blog post was written by a special guest of the Westchester Library System, Assembly District 90 Assemblymember, Shelley Mayer. “American history is replete with remarkable presidents, but for me Franklin Delano Roosevelt – or FDR– embodied several values I hold most dear – personal and professional persistence and a commitment to public service. Before running for President, FDR attended Columbia University Law School and began practicing corporate law, and soon decided he wanted to take on a role in public service. After serving in the New York State Senate, where he challenged the Democratic political machine, Roosevelt unsuccessfully ran for US Senate and the Vice Presidency. Despite these setbacks, Roosevelt learned valuable lessons about professional resiliency. The political setbacks pale in comparison to the personal and physical obstacles Roosevelt overcame when struck by polio. When diagnosed, Roosevelt dedicated himself to restoring his health, but he eventually reemerged to become president, demonstrating leadership and compassion for a population suffering deep poverty and economic suffering. I also started as a lawyer, practicing law in our Family Courts and trial courts. I liked the practice of law, but I always sought out the political and governmental paths to achieve change. Many years ago, I sought to run as a County Court judge, but I was unsuccessful. I took the lessons of that effort with me as I continued to work at making lives better for working New Yorkers. And like FDR, I worked in the NYS Senate – not as a Senator, but as the chief lawyer for the Senate Democrats for four years. It was a trying but rewarding experience, full of challenges but more opportunities to learn and to do a better job of delivering for New Yorkers. 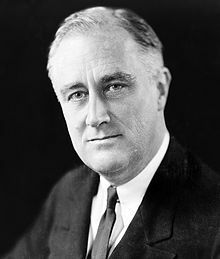 In his tenure as president, Franklin Delano Roosevelt not only led the nation to victory in the Second World War, but he saved our economy and our democracy from unprecedented crisis. He instituted programs that continue to provide security for our seniors and created public programs that put our people to work, the products of which still grace our cities and towns. With patience and persistence, Roosevelt pushed for laws and new ideas that preserved our economy and restored Americans’ faith in themselves and their country during the most difficult days. Most inspiring of all, he recognized the importance of engaging the American people in his vision and the hard work that lay ahead.